In 1998, 120 states realized the long-standing aspiration of establishing an independent international criminal court and voted for the Rome Statute and the establishment of the International Criminal Court. 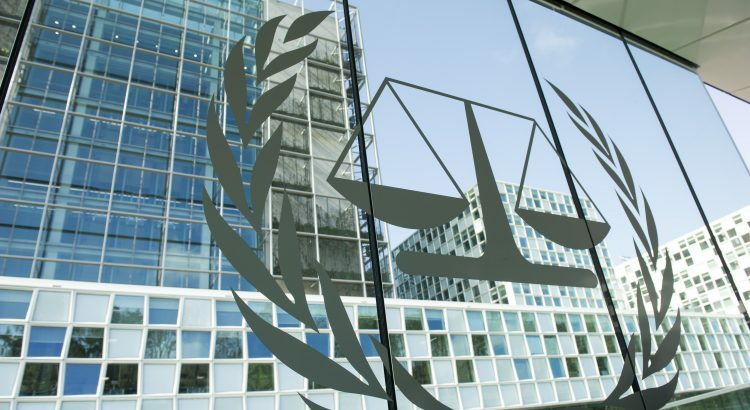 As the first permanent international criminal court, the ICC has jurisdiction over the gravest crimes of concern to the international community: genocide, war crimes, and crimes against humanity. The establishment of the ICC in 2002 was a major achievement for international criminal justice as a whole. However, the ICC has faced increasing criticism in recent years, especially from some African states. In particular, the proceedings against two acting African presidents, Sudan’s Omar al-Bashir, for whom the ICC issued an arrest warrant, and Kenya’s Uhuru Kenyatta, led to fierce appeals against the ICC: Critics of the Court argued that the ICC selectively applied international criminal law, it discriminated against Africans and violated the immunity of African heads of states – to name just a few examples. Last year, these confrontations culminated in the notices of withdrawal from three African countries: Burundi, South Africa and the Gambia. Although South Africa and the Gambia have not carried out their announcements, the ICC is, 15 years after its establishment, in an extremely difficult phase. Against this backdrop, the States Parties have important tasks ahead of them. At this year’s ASP, they should show the political will to foster the Rome Statute’s aspiration of universal international criminal prosecution of the most heinous crimes. The core principles states agreed on in the Rome Statute are the belief in a universal end to impunity, the conviction that even sitting Heads of State or Government must not be free from criminal prosecution, and that justice is an indispensable pillar of lasting peace. These three core principles are under severe pressure. The States Parties should use the stage of this year’s ASP session to assure each other of their commitment for the Statute and the Court. States should open a frank dialogue about the disagreements between different States Parties and draw conclusions from the experiences gained. For example, the proposal to apply the complementarity principle not only to states but also to regional courts is certainly worthy of discussion. However, this must not be at the expense of the integrity of the statute. Demands to restore immunity for Heads of States at least during the defendant’s term of office put forward by Kenya could lead to a deterioration of international criminal justice as a whole. Although there may be situations in which criminal prosecution should be postponed in favor of peace efforts or due to a difficult security situation making prosecution impossible, postponement should not lead to impunity. Decisions for postponement are up to the Court and, in exceptional situations, the UN Security Council according to article 16 of the Rome Statute. Whereas the Security Council must not misuse its article 16 powers, the States Parties have to refrain from political interference in legal decisions of the Court. To establish legitimacy for those and other decisions and the ICC’s jurisdiction as a whole, it is important that the ICC is equipped with adequate officials and staff. This points to the elections which will be held at the 16th session of the ASP: The States Parties will elect six judges and six members on the Committee on Budget and Finance. In recent debates about the staff of the ICC, States Parties often called for equitable gender and geographical representation. States Parties should stick to these demands, because a fair representation will enhance the legitimacy of the Court’s work. However, the qualification of the candidates must remain the first criterion. Although the Court’s budget has grown in the last years in absolute numbers, it has not grown to the same extent as its workload. On the contrary, some states including Germany demand for increased efficiency, budget discipline or even zero growth. This is apprehensive. The States Parties cannot call the Court for delivering justice in a universal and non-selective manner, which is accompanied by an increasing number of investigations, and at the same time reduce its resources in real terms. Although it is necessary to increase efficiency, the budget of the Court must be demand-driven. In view of its tasks, the ICC is a cheap organization with a program budget of approximately €145 million in 2017. Thus, States Parties should end their calls for restraining the budget and, on the contrary, commit themselves to a higher budget and pay their contributions in time. Funds are also needed for improving the Court’s outreach activities and communication. States and, most importantly, victims must see and understand the work of the Court. This is vitally important for improving the creditability and legitimacy of the ICC. Successfully reaching the wider public can be the determining factor in generating political will. That’s why the States Parties should bolster activities like establishing functional field presences and, where possible, holding trials locally. In addition, frequent direct communication and exchange of views between the Court and States Parties like the recent retreat in Addis Ababa are important for overcoming discrepancies and improving national legal systems. One of the most fundamental criticisms of the ICC is that it would apply international criminal law selectively and focus on Africa. Although there are some preliminary investigations outside Africa, 10 of 11 situations under investigation (situations in the trial phase) are carried out in African countries. To take the air out of the perception of an African bias, it is crucial that the ICC investigates core crimes in other regions of the world – surely and regrettably, there are prosecutable crimes elsewhere. The investigation in Georgia has been the right signal. Moreover, the preliminary investigation of the situation in Afghanistan, which could lead to the prosecution of crimes committed by US soldiers, is important in that regard. However, both are difficult investigations for the ICC as neither the US nor Russia are States Parties to the Rome Statute. Thus, the Court needs diplomatic support to expand its investigations. Depending on the countries to which such investigations refer, this could well be painful as it is accompanied by diplomatic confrontations. However, a polite restraint would only play into the hands of the ICC’s critics. Since the Court has no police forces on its command, it is dependent on the cooperation of the states. This applies most of all to investigations carried out in critical states where the ICC cannot expect support from the national authorities. In that regard, States Parties that have not done so should join the Agreement on Privileges and Immunities which is indispensable for the Court’s work as it endows ICC staff and officials on the ground with the privileges they need for fulfilling their tasks. Cooperation is also needed in terms of outstanding arrest warrants. Without arrests, the proceedings cannot progress, and the ICC is prevented from fulfilling its mandate. Unfortunately, there are numerous examples of poor cooperation on arrest warrants. Only recently, al-Bashir, wanted by an arrest warrant, visited Uganda undisturbed. Of course, arrests can be politically sensitive. Thus, there is the need for political will and diplomatic pressure which should be applied at this year’s ASP session. These are only some of the challenges the ICC is facing. However, they are crucial. Without a functioning international criminal court, justice for victims is to be expected in even fewer cases. Moreover, a failure of the ICC, which started as a peace project, could have a negative impact on multilateral institutions of conflict management. These are two of the basic reasons for supporting the ICC. And that is what States Parties should do. The ICC can only be as effective as the states parties are committed to make it a functioning court. That includes further work towards the universality of the Rome Statute and taking a firm stand against withdrawals. 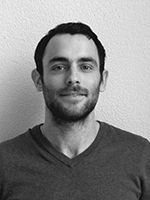 Antonio Arcudi is a Research Associate in the International Institutions Department at PRIF. In his research, he focuses on the contestation of international norms and institutions, in particular the International Criminal Court and the Responsibility to Protect.